Are the videos closed captioned? We do offer a transcript of the videos which is available to you when you log into the course. The videos, however, are not closed captioned. Is there a guarantee? What if this course doesn’t work for me? 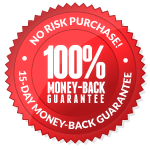 We are offering a 100% money-back guarantee for 30 days after you purchase the course in case you buy it and realize that it’s just not a good fit for you. How do I know if this course if a good fit for me in my current season of life? Do I have to be married to do this? Do I have to do this with my spouse? I have young children – will this even work for me? We know not everyone is married and we know not every couple has the desire to set goals together, so know that whatever season or situation you find yourself in, you can apply the steps and principles in this course to achieve significant success. Can I view this course on my ipad or mobile phone? You should be able to access it from any computer or mobile device. We set this course up so that you’ll have a login page where you can go in and access all of the videos and download the .pdf workbook. We recommend using Chrome, Firefox or Safari as a browser. I’m curious about the format of the course. Is there a set time each day for the four week course or is it self-paced so I can access it when I have time available? Is there a video each week and how long is each video segment? I’m interested in the concept, but want to make sure I have the time commitment necessary for the course. The course is self-paced. When you purchase it, you’ll have access to the videos, handbook and projects for life. We specifically set up this course so that each week’s assignments could be completed in two hours or less. That’s it! Each week you’ll read a chapter in the handbook, complete that week’s project and watch video coaching session. This small investment of time will pay off big for your family as you start to reach your goals one at a time. How do I log in to the course? Go to https://makeoveryouryear.com and click on the login button in the upper right hand corner. Once the login page comes up, enter your username and password. You should have received your username and password in an email that was sent after your purchase. If you did not receive it, please email msm@rhinosupport.com and we’ll get your your log-in information to you right away. I can’t get my order through on PayPal—it’s not showing up on the screen. When you use paypal, there is a pop up box that comes up during the transaction. You might have your browser set to not allow pop ups. If you can try it again, and allow pop-ups, that should fix it. Please let us know if you have any trouble by emailing msm@rhinosupport.com. I can’t get the workbook to open or download. The workbook is a .pdf file so you’ll need to make sure you have a .pdf reader of some sort on the device or computer you are using. If you still can’t get it to open or download, please email msm@rhinosupport.com and we’ll get it to you. Where do I find the videos? To locate the videos, first, log into the course. You can do that by visiting https://makeoveryouryear.com/course and entering your user name and password. Once inside, click on the tab that says COURSE CONTENT. A drop down menu will be displayed. Just click on the week that corresponds with the video you want to watch. Once you click, the video will appear on your screen. One thing to note, if you are using Internet Explorer and are experiencing trouble with the video, it may be a browser issue. This course works best with Firefox, Chrome or Safari. 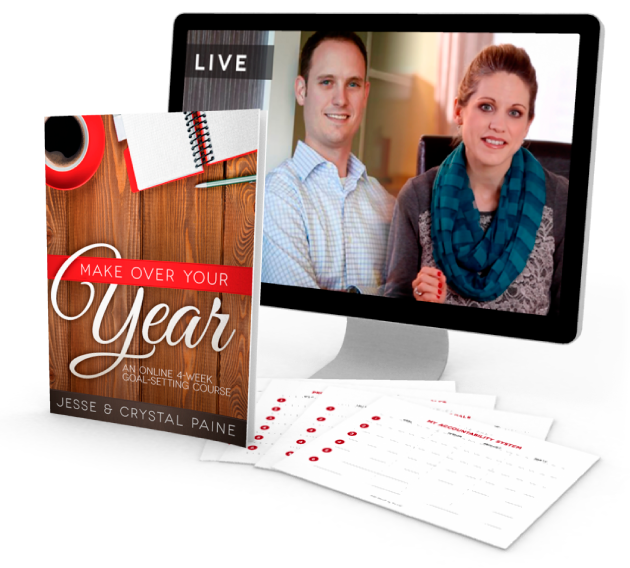 You can order Make Over Your Year risk-free right now. If after 15 days, you're unsatisfied for any reason, please contact us for a full, prompt, and cheerful refund. No questions asked!